Destiny 2 may be burning up the sales charts, but there are still a lot of folks wary about the game. The original Destiny turned some players off, and the series’ MMO-inspired gameplay definitely isn’t for everybody. Thankfully, those on the fence will soon be able try out Destiny 2 for free. The Destiny 2 free trial will let players get a taste of the game’s campaign, explore two worlds, and throw down in competitive Crucible matches. You can check out a trailer for the trial and Bungie’s official rundown of what’s included, below. “So, you’re new to Destiny 2? Enjoy the free trial and jump into the cinematic campaign on your own or with friends. Want to battle other players? Enter the multiplayer arena and put your skills to the ultimate test. You are one of humanity’s last Guardians. Your home and your power has been taken from you by a brutal invader – Ghaul. With humanity on the brink, it’s up to you to fight back and reclaim our world. Take on rewarding side missions, level-up, earn loot, and discover two new worlds through Adventures. Battle other players in the Crucible with full access to the Quickplay playlist. Carry over your progress from the Trial with purchase of the full-game. European Dead Zone was ground-zero for a cataclysmic event that left a massive shard of The Traveler – the source of every Guardian’s power and immortality – embedded into the vast landscape. Now, the Red Legion are using the European Dead Zone as a staging ground for their war machine. 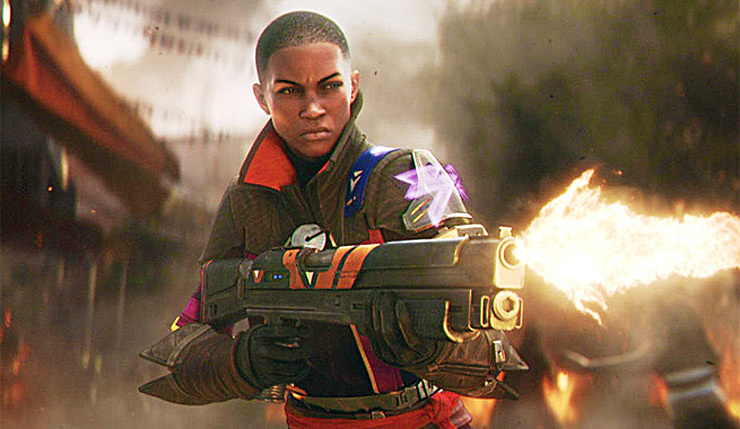 The Destiny 2 trial arrives amidst fan backlash over a perceived lack of end-game content, and Bungie secretly throttling players’ XP gains. Bungie is probably hoping the free trial, and the upcoming Curse of Osiris DLC, will improve the general mood surrounding their game. The free trial version of Destiny 2 hits PC, Xbox One, and PS4 tomorrow (November 28).